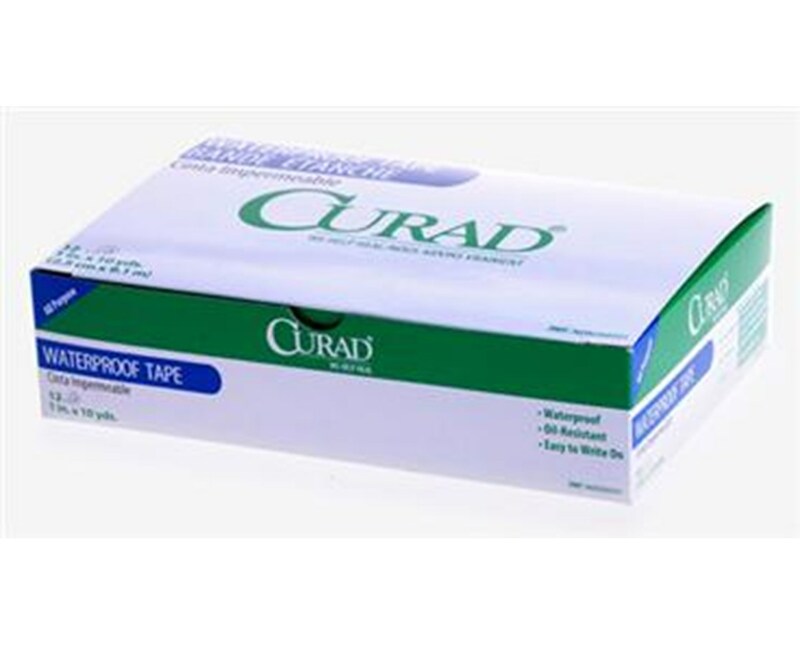 Curad Waterproof Adhesive Tape is not only waterproof, but oil-resistant as well, making it easy to write on. The cotton cloth backing with polyethylene coating provides high tensile strength and will not permit moisture to penetrate to skin or dressing. 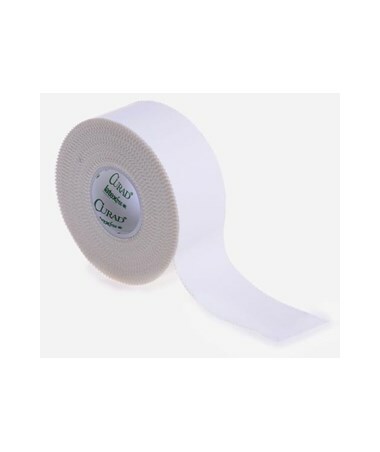 The strong latex-free adhesive is durable and holds securely. 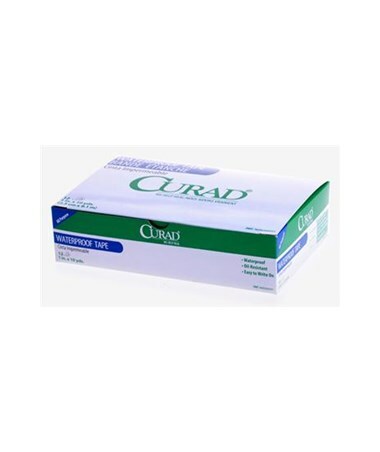 We offer Curad's Waterproof Adhesive Tape in three sizes, sold by the box or the case. Select from the drop down menu above and order online direct by clicking "add to cart!"